Justin Cobb has been recruiting for his companies for several years now, and he is confident in putting together teams who are a force to reckon with. Managing director, Justin Cobb of Pan Atlantic knows exactly the type of candidate who jells well with his existing team members and who will represent the ethos of his company. Team matchmaker Justin Cobb shares with us his top tips to follow when building your company’s dream team. Justin Cobb of Pan Atlantic advises, that whilst discussing monetary compensation is very important during the interview process, you should make a conscious effort to discuss in detail just how valuable the experience the role your offering will be and how much it will benefit the candidate. Actively find out what other elements of a job matter to them, i.e. development of a certain skill or progression. Be sure to tell them how the role can give them the experience they are looking for, or perhaps they will have free reign on projects that would normally have restrictions at other companies, or they will be able to spearhead a unique project that is a first for their career? Whatever it is that you can give them that is truly unique to your organization, make that point abundantly clear during the recruiting process. Understand that their background may make them more knowledgeable than you and that that’s okay. As an entrepreneur who trained and developed his team from the ground up, Pan Atlantic’s managing director Justin Cobb says he welcomes individuals who may have more experience than him in some areas, he does not see them as a potential threat, but encourages them to flourish with his company and meet their maximum potential. Pan Atlantics managing director Justin Cobb thinks it is necessary to remember that your team are bringing a knowledge-set with them that likely predates your organization. Therefore, you should embrace the fact that they may have a background in something you do not have. When you start thinking of new employees as true assets to the growth of your company, you will be amazed at the amount of talent you can attract. Once again the United Kingdom is calling MD of Pan Atlantic’s name, having already visited the country a few times this year so far, Justin Cobb will attend the spring gala in the heart of London. Joining good friends and also business partners, Justin Cobb fly’s over from New York to attend exclusive industry event as guest speaker. For some business owners, constant business travel can seem time-consuming or a hassle, however having a real passion for what he does, means Justin Cobb only ever gets excited about traveling, even now, ten years into his career. Held in the heart of London, industry experts will gather together at a 5-star venue and network amongst one another in their best dress. With the chance to win an Audi and a Bentley, the event has doubled in size since last year. With professionals traveling from Belfast, Manchester, Birmingham, Cardiff for the event, and joined by international friends and business partners who are flying in from destinations such as New York and Miami. Justin Cobb of Pan Atlantic will embark on the 8-hour flight from NYC to speak in front of, influence, inspire and make a lasting impact to all in attendance. These industry events give Justin Cobb of Pan Atlantic the chance to stand on stage in front of hundreds of professionals whom he has had the pleasure of coaching, and speak about his experiences, their achievements in the industry and the goals they are reaching for going forward. When sharing his knowledge and passion with his business partners and those whom he mentors in the industry, Justin makes sure he is always promoting a positive, enthusiastic and committed work ethic because this can only stand them and their businesses in good stead, so it is vital that he passes on the same characteristics down to his mentees. Justin Cobb invites his business partners to bring their company’s highest achievers with them, and grace them with the opportunity to enjoy and take part in the exclusive activities that in most industry’s only the managers and directors attend. Justin Cobb of Pan Atlantic believes that when it comes to exclusive industry events, it is crucial to involve those key players who have made a significant addition to the growth and progress of the direct marketing industry over the past year. Pan Atlantic recently reviewed an article featured on Entrepreneur.com which covers an array of important tips for students and graduates to increase their chances at scoring their dream job. Managing director Justin Cobb of Pan Atlantic personally understands that burning desire to secure the idyllic dream job amongst the practical choices with good pay and reasonable hours, but just don’t get you excited to spring out of bed every morning. The article says impeccable educational qualifications do offer an entry point, but you will often find that they are only a part of the package that potential recruiters seek. According to recent data, a shocking 44 percent of millennials are currently underemployed. These talented and driven people are often found working in low-wage or part-time jobs. So you should be using more creativity when choosing and applying for your dream job, to ensure recruiters can spot you amongst the crowd. From this article, you can learn five of the best tips that will help increase your chances of securing your dream job. Firstly you should Create a professional online presence with LinkedIn as more and more recruiters are channeling LinkedIn for their recruiting needs. You should build a strong LinkedIn profile, documenting your professional achievements and experience. Secondly, after establishing your online presence, you need to start making connections and associations with businesses, headhunters, and alumni working in your desired field. This is your opportunity to network with those people, build professional relationships through introductions and get one foot through the door. The article suggests that you should immediately commit to a professional internship after graduating, no not the summer kind, look for the big wigs for a prestigious opportunity. Pan Atlantic are firm believers of showing you are committed to your intended career, and how it will certainly increase your chances of scoring that paid dream job. Lastly, we can learn that finding a good mentor or becoming a good mentee will greatly help you to secure that job. Pan Atlantic are ambassadors of this method, as each representative working in the firm are closely mentored and coached by committed and excited teachers who are hitting their goals and criteria for promotions. Recent research studies indicate that the highest percentage of students who claim to have at least one mentor chose their parents. Next are those who enlisted their professors, family or friends. While parents, teachers, relatives and others in your circle can be a tempting option, you should expand your search. Note that finding experts and professionals working in your desired field will allow you to learn from people who you can relate to as you attempt to understand their experiences. Recently read an article on entrepreneur.com that describes focus as having physical, mental and emotional aspects, and as most of us have experienced at one time or another when working towards a goal; focus can be easily lost. But with a few action steps in place, you can take today to improve your powers of concentration and your ability to stay on task. Pan Atlantic look at the article and discuss the ways in which focus can be harnessed and understood better. Coaching and working with hundreds of entrepreneurs chasing their dreams, every single day, managing director Justin Cobb of Pan Atlantic has heard this fair share of the words “I just can’t seem to stay focused.” As the article so clearly puts it, when it comes to working toward a goal, there’s always some form of distraction: family issues; health issues; kids — the list goes on. We look at focus as a problem that we need to fix. We try to fight it with diaries, schedules, calendars, reminders, and highlighters. But the reality of it is, that unless we understand the emotional and mental issues that are causing us to struggle with focusing on a goal or task, then we will never fully take control and take back our focus. The article on entreprenur.com puts focus into three main categories; Physical, Mental and Emotional. All of which are being spared some form of nourishment and attention. It is surprising how much time these distractions consume without your being aware. Once you can understand how these distractions are stalling your focus, then you can make positive changes and begin to focus better, you should encourage focus building activities like; meditation, reading, regular exercise. Justin Cobb of Pan Atlantic knows too well that emotions and business are usually kept very separate, never mixing the two when working on your goals as they can be hard to control. It is surprising how many people become unfocused due to emotional issues far and beyond their business, something they thought they were managing and had no idea it was affecting their focus at work. We can try to improve our physical focus and declutter our mental focus, but if there is an underlying issue in our lives, this could be rotting at the core of the problem, and you will become emotionally blocked from focusing. Once you have established the problem, you immediately need to take action toward a resolution. Typically any leader will at some point in their career, question how they think their colleagues perceive them. But is it better to be loved or feared? Here, managing director Justin Cobb of Pan Atlantic recently read an article on the topic on entrepreneur.com, which inspired them to inform their leaders of the advantages and disadvantages to both. The article explains how research has found that when leaders were perceived as angry, employees felt they were more powerful. At the same time, leaders who were seen as sad were less powerful in a traditional sense but had more personal power. So which is more effective? Managing director Justin Cobb of Pan Atlantic was not surprised when the research concluded that neither were efficient and finding balance is key to effective leadership. As marketing consultants who develop and lead their team to management roles, CEO Justin Cobb of Pan Atlantic has developed a healthy balance and using the article; they explained to their team why balance is so important in leadership. Research shows that leaders who are angry, yearn for more power, this, in turn, is seen as threatening by colleagues, and they will do their best to impress you out of fear of being punished, but you won’t earn their trust by acting like this. CEO Justin Cobb of Pan Atlantic firmly agrees that fear will only get leaders so far. Real effective leadership requires a blend of respect and trust. In the opposite scenario where leaders are loved, it is usually because they are caring and empathetic. Like a catch 22 situation, these leaders had a decreased power to punish among employees, but an increased personal power. While this kind of leadership possesses many advantages and expresses a much healthier attitude towards colleagues, simultaneously employees may think they can get away with slacking off, and taking advantage of the rules as they do not fear their leader. For this reason, Pan Atlantic want to share with their leaders about why finding a balance between the two is crucial to your business and well-being of the team. The article advises leaders to be empathetic to employee concerns and communicate openly, striving to build relationships with employees. But at the same time, they need to show authority when necessary, take control of situations and motivate employees to deliver. When leaders get this balance right, employees won’t fear or love them — employees will respect them as effective leaders. To be productive, we must focus, and to focus we must first decide how we receive or deflect incoming distractions which may lead us off course. Managing director Justin Cobb of New York-based marketing firm Pan Atlantic recently read an article which offered some practical tips for handling, maintaining our productivity effectively, when receiving updates throughout the working day. Here at Pan Atlantic, managing director Justin Cobb believes that it’s beneficial to your time if you create a balance between working consistently and stopping for a brief moment to receive side notes; usually in the form of notifications and text messages. The article featured on entrepreneur.com suggests that you would be helping yourself by muting these kinds of interruptions by disabling message notifications for all apps and as a result, his will allow you to focus on the things that matter. Pan Atlantic’s managing director Justin Cobb strongly agrees with the article when it admits how present you are able to be without your phone or computer regularly demanding your attention. Secondly, we can become more productive when we reduce the amount of tasks we are trying to complete. Yes, we feel more productive when we tally up the total number of jobs we have tackled in any given day at work. However, it is proven that to accomplish any single task we have to give our undying attention to only that one thing. The article on entreprenur.com encourages us to pick one thing each day and take the time to deeply and truly observe it. Managing director Justin Cobb of Pan Atlantic firmly believes that focusing your attention on your biggest goal is the most efficient way to feel more productive, as this you will feel positive about the tasks you have completed when they are building towards your most strongest desire. As opposed to dedicating 100 percent of your time and attention on tasks that seem mediocre, seem less important and make you feel stagnant instead of moving forwards. Dreams are only a state of mind unless we start doing, and turn them into reality. Turning your dream into a reality isn’t achieved by waiting and hoping that by magic it will happen, but by converting it into a real vision and managing director Justin Cobb did this himself when starting up his well-established New York-based marketing firm, Pan Atlantic. Self-made entrepreneur Justin Cobb of Pan Atlantic says to achieve your dreams you need to begin by turning them into tangible outcomes. But how do you initiate the steps and habits to be able to do so? Managing director Justin Cobb looks at the habits which he follows in order to create success at Pan Atlantic, and why. Setting out to obtain a goal which is challenging, but not impossible, motivates us to work towards it. Starting out with the ultimate aim as our absolute priority may seem like the obvious strategy, however, this can overshadow all of the smart goals which you need to set in order to build a means to an end. It may seem like you haven’t achieved much when you prioritize smaller goals, but you should focus on how they are adding to your capabilities and present themselves before the final dream is attainable. Of course, Justin Cobb advises us to dream big, but with sensibility in mind as you must make sure you are willing to put in the hard work and energy that comes with achieving your dream. For instance, if you are dreaming of being a master of parkour, you must be prepared to train in those conditions and attain the fitness needed to achieve this goal. Goal attainment is linked to current reality, but never impossible. Technology is developing at warp speed, and many of us aren’t yet even up to date with the newest apple software or microsoft programme, and yet the tech geniuses behind the scenes, are already onto designing the next one. It’s hard to keep up sometimes. It’s incredibly impressive how advanced technology has become, however we can find that business owners and leaders in their industry, feel pressured to keep on ball with the changes so that they can stay upto date, and up to speed with the young talented millennials who will present themselves as the future of their companies. Managing director Justin Cobb of Pan Atlantic recently read an article featured on entrepreneur.com, which covered the key ways to meet today’s tech challenges, the article allows business leaders to confidently meet these challenges and continue to grow their organisations, smoothly and tech-hassle free. Like many others, managing director Justin Cobb of Pan Atlantic based in New York, is also a business leader who sometimes struggles to keep up with the pace as technology advances and a recent study shows that Business leaders across the spectrum agree that technology change and the need for new and different skills in their organizations are the top two impediments to any growth strategy. The article featured on entrepreneur.com offers three top tips for successfuly adressing these tech challenges, which our own business leader Justin Cobb strongly agrees with and puts into place himself. The first tip which you as a leader can benefit from is, encourage innovation instead of just talking about it. Studies show that by being innovative towards your business strategy, your organization will find better ways to do everything. Managing director Justin Cobb of Pan Atlantic comments on this and says “Innovation is at the heart of growth, in both technology and businesses. I am always looking to learn the latest update on our recruitment programme, our data software and any apps or new additions to my software, that will make the day to day tasks and communication between my colleagues, a little quicker and a little smoother. This leaves more time for the bigger things during the day”. Secondly, the article advises that as a leader, you should help your people to be bold. No not bald. Bold. According to recent survey results, nearly all leaders said that bold leadership, characterized in part by smart risk-taking, was needed to achieve their company goals. But the executives that were surveyed, acknowledged they aren’t necessarily doing enough to recruit or develop bold leadership skills in their organizations. Entrepreneur Justin Cobb admits this is critical in his field of work and he is always on the lookout for those bold and tenacious characters, and being this competitive edge out in his team of training business leaders. Justin says “As the example in my business, It’s important that I show these traits and encourage a bold and brave mindset amongst everybody, so that they eventually act like a leader who isn’t afraid to take risks”. The article goes on to encourage boldness amongst business leaders and advices them to build innovative teams by creating a culture of courage. Let their own teams push their organizations further than even they thought possible. Lastly, you should always keep your best talent. Obvious one of course, but the article shows that the majority of the leaders who were surveyed, suggested they expect that a high percentage of their organization’s highest performers may leave. This is a scary prediction, but it’s reality, Justin Cobb of Pan Atlantic knows the exact damage this can have on a team and uses this as momentum to give his top players everything he’s got, to keep him on track. The article says that many might be tempted to move to a company who work with more advanced technologies, and a desire to work with a more innovative company. The most talented people want to be part of something exciting, something up and coming, and something where growth and forward momentum are present. The survey also showed there is an opportunity to better align compensation and bonus structures with innovation, bold leadership, and risk-taking. Building a recognised and respected brand is a key aim of all businesses. It’s an essential tool when trying to build customer loyalty, as consumers are likely to give their repeat business to brands that they know and trust. How can a business find out what customers really think of them, and whether their brand is creating a positive or a negative impression? Here, Pan Atlantic examine the power of brand perception surveys. The concept of a brand perception survey is an increasingly important one in the world of business today. There is more competition than ever before, and consumers are becoming more choice conscious. If they don’t find that your brand offers them exactly what they’re looking for, they’ll move on to one that does. Brand perception surveys allow an entrepreneur to accurately assess how their brand is viewed when compared to its competitors, and find out its true position in the market. It also reveals what brand attributes customers are looking for, and shows what your customers really think of you. By working with this wealth of data, a business can ascertain what criteria their customers value most, and create advertising campaigns based around the information from the survey. Brand perception surveys can be posted online, or customers can be given forms to complete, either via mail or through a face to face interaction. The surveys can be even more useful when compared with data and feedback that a business is receiving from social media sites. These can both help you find out what customers are really thinking, rather than having to rely on assumptions or outdated historical evidence. Pan Atlantic produce innovative and highly effective marketing campaigns for clients old and new. They help businesses find new customers and grow their brand. We all go through personal change in our life, in both our domestic and business activities, but some people handle it better than others. One way to achieve success, is to look at how successful people operate, and then emulate them. That’s where self help books can prove so useful. One of the most important and highly praised self help books is ‘The 7 Habits of Highly Effective People’, written by Stephen R. Covey and published by Simon & Schuster Ltd. Here, managing director Justin Cobb of Pan Atlantic reviews the book and look at the lessons that can be learned from it. The book was first published in 1989, and has sold over 15 million copies around the world. This alone is testament to its success, but many business leaders have admitted that they’ve found it a big help in their careers. Dr Covey’s book is based upon the principal that humans should always act with fairness, honesty, integrity and dignity. When we base our actions upon this belief, we become more powerful, and more likely to achieve success. The book also details seven elements, or habits, that are essential to becoming a success. The first of these is being proactive, and realising that you are the person who has the most impact on your life. Self-discovery is important, as is managing yourself before you can manage others. Look for win-win solutions that help as many people as possible, and listen empathetically. Use positive team work to achieve success that would have been unobtainable on your own, and use continual improvement to create long term lifestyle improvements. 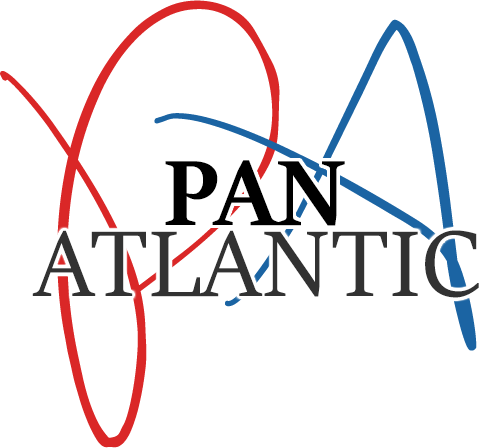 Pan Atlantic use the power of positivity to create exciting and bespoke marketing campaigns. They help businesses across the US find high quality customers and improve their brand awareness.